AKCP - sensorProbeX+ is the latest generation of sensorProbe devices. Additional Text: AKCP - sensorProbeX+ is the latest generation of sensorProbe devices. The manufacturer AKCess Pro started a new generation of Environmental Monitoring Systems: sensorProbeX+ (SPX+). 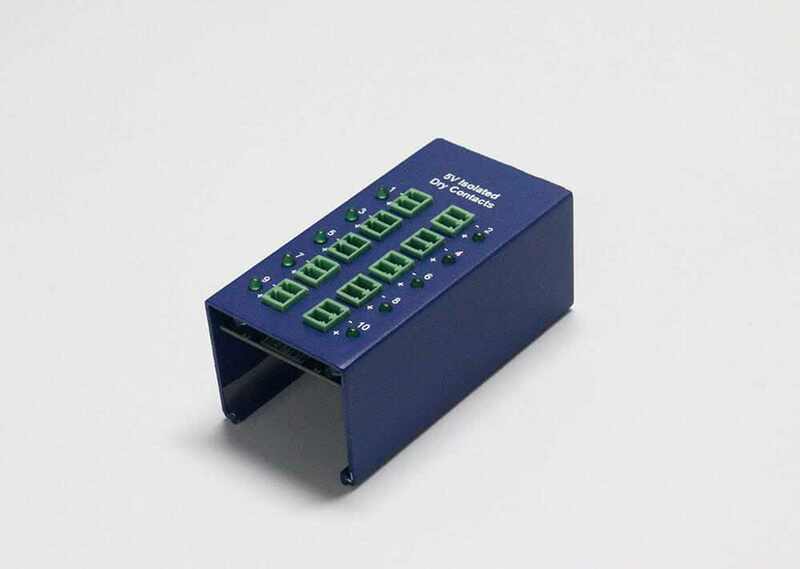 This networked remote monitoring device supports 1U or 0U mounting. The sensorProbeX+ has a modular construction. Here, customer can configure his own individual sensorProbeX+ monitoring unit. The new sensorProbeX+ series support a wide range of AKCP`s intelligent sensors. Equip your sensorProbeX+ monitoring unit with temp sensors, single port temp & humidity sensors, smoke detectors, AC voltage sensors, DC Sensor Controlled Relay and many more. Here in this online store you can order the AKCPs full range of SNMP enabled intelligent sensors. The heart of the sensorProbeX+ is the MCU (main controller unit). 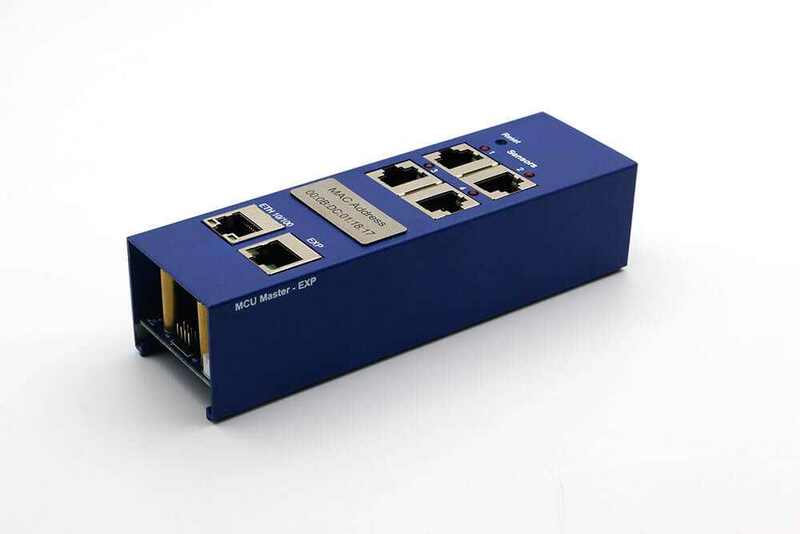 The MCU unit is equipped with an 10/100 Ethernet Port, 4 intelligent Sensor ports and 1 Expansion port. If needed, you can attach optional E-sensor8 expansion units to increase the total amount of networked sensors. Of course you can order your sensorProbeX+ with additional sensor4 modules. 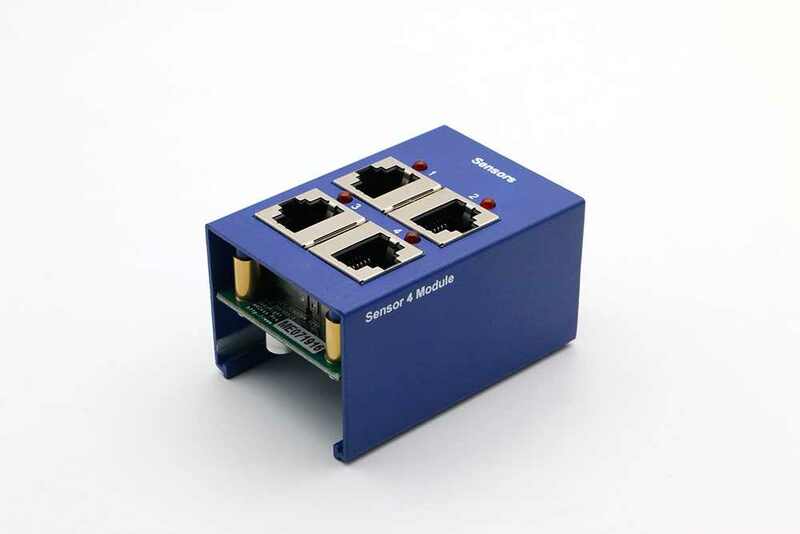 Each module offers additional 4 auto sense Sensor ports for AKCP`s SNMP-enabled sensors. One sensorProbeX+ supports in total up to 50 intelligent sensor ports. 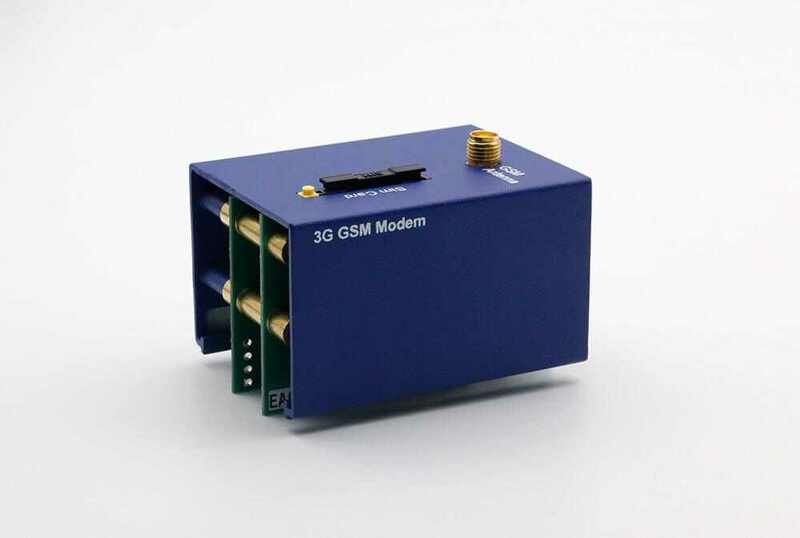 The use of a GSM modem in combination with a networked monitoring device has advantages. For example, if the server room is overheated, the technicians and administrators can easily be notified via SMS alerts. If the DSL line or the network has failed, the IT managers will receive a reliable alarm from the server room via GSM modem. In case of inadequate GSM reception quality in the server room or computer center, the official AKCP distributor Didactum also offers a weatherproof GSM antenna with 30 meter connection cable. You can equip AKCP´s sensorprobeX+ (SPX+) with dryConX10 and dryConX20 modules. These SPX+ modules are available @ AKCP dealer Didactum in a variety of options. Here you can decide to order your dryContX10 /X20 module with input only, I/O and opto isolated dry contact board. 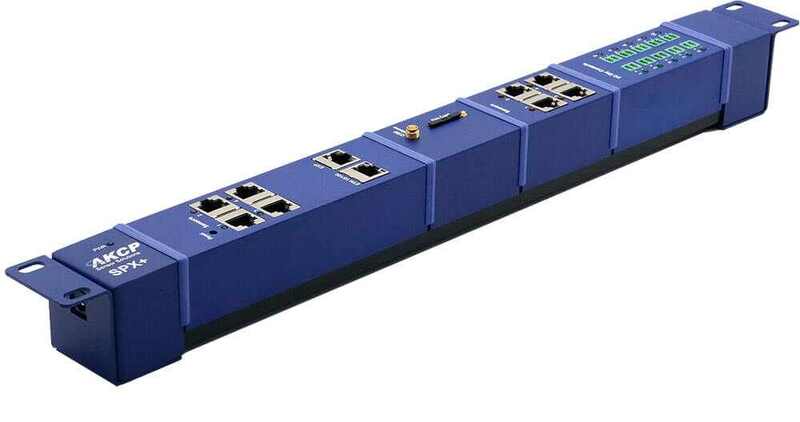 As part of cabinet monitoring of existing network or server racks, the new AKCP sensorProbeX+ (SPX+) can also be equipped with the latest smartRack solutions from manufacturer AKCess Pro. For the thermal monitoring of important 19" server racks, the AKCP Thermal Map Sensors are available. Measure and control the temperature the required air supply for the cooling of heat sensitive servers and storage systems. By installing a second thermal map sensor, the exhaust air can also be measured and controlled. Hot spots in cabinet can be reliably detected and mission-critical server systems be protected against imminent overheating. For the physical protection of critical server cabinets, the networked sensorProbeX + rack monitoring device can also be equipped with AKCP`s new RFID electronic handle lock. An uncontrolled opening of the sensitive cabinet is then no longer possible. The rack can only be opened by use of RFID identification cards. By installing magnetic contacts on the side walls and the rear wall of the 19 inch server rack, the protection of company-important cabinets can be further intensified. Protect your valuable company data from on-site data theft. The latest generation of AKCP`s sensorProbeX+ remote monitoring devices can also be integrated into AKCess Pro Server. AKCess Pro Server DCIM management software provides users with an all-in-one software solution for environmental monitoring, video monitoring and access control. The SPX+ is automatically recognized by the AKCess Pro Server management software. The connected AKCP sensors and RFID door handle locks can also be easily managed from the control center via AKCess Pro Server. AKCess Pro Server is the solution for central monitoring of decentralized infrastructure. The integrated escalation management of the AKCess Pro Server Software can be used to detect any changes in state or catastrophic events such as heat, fire, power failure, UPS power, unauthorized access, etc. Coordinate deployments of technicians or security personnel direct from the control center. All events are recorded in the database, including time and date stamps. The official AKCP provider Didactum is happy to advise you on AKCess Pro Server DCIM software. MTBF : 1,400,000 Hours based on field experience with sensorProbe units. Max Sensors : Maximum of 150 onlined sensors, including Expansion Units and virtual sensors. There was a good price and fast delivery. Didactum made a good price. Fast DHL Express delivery for SPX+ remote monitor. Detailed product description. The manual is clear and understandable. All is very well. Tom D.